Cheerful counting fun! This fun game encourages children to practice fractions. 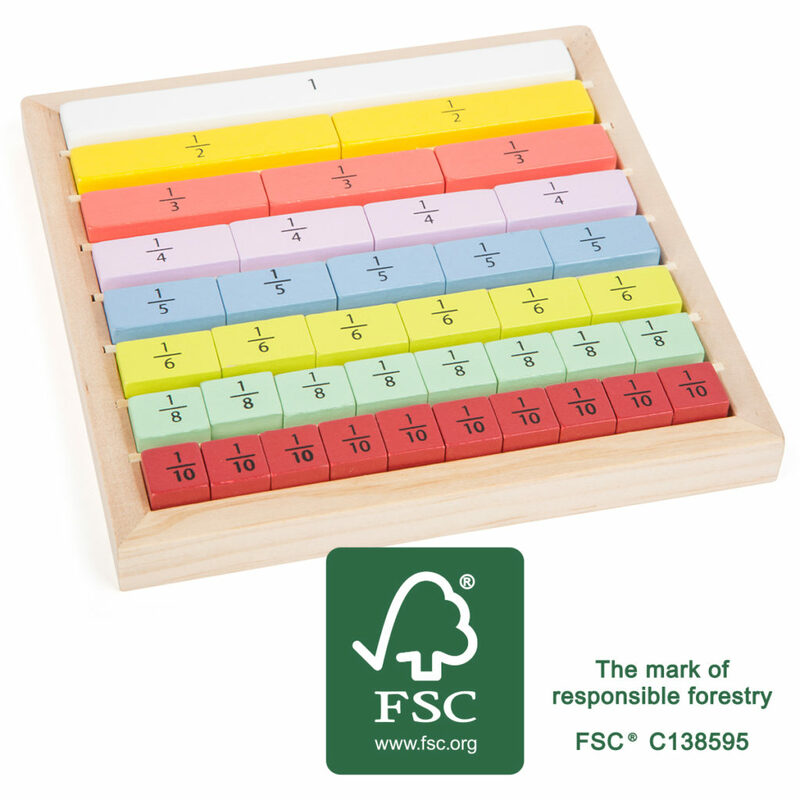 Made of robust wood, it is particularly durable and motivates children to discover the world of numbers. ¼ =?